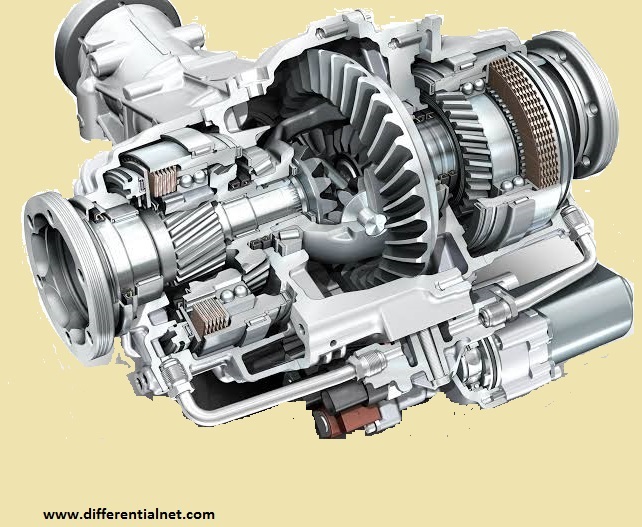 Electronically Controlled Limited-slip Differential ~ What is a car differential and how it works, Limited Slip and Rear differential, open differential? An electronically controlled clutch type differential uses rheostatic control between open and fully locked situation, with adjustments are done hundreds of times per second with the help of computerized data analytics by analyzing the parameters like over-steer, cornering forces, amount of torque, traction overcome by wheels etc. thus it is different from a conventional limited-slip differential in which the torque is depended on slower wheel speed. BMW M3 and M4, and CTS-V, Ferrari 488GTB, Chevrolet Corvette, Cadillac ATS-V.
Model of electronically controlled limited slip differential.